When you need a BMW repair job done to the vehicle you love to drive in Richmond, you need to head to Albany, CA and see the team at Berkeley Motor Works. This is the team that has become the right place for BMW maintenance and repair to offer you a great way to have the drive you want and a team that can help you take care of it. The location offers you a BMW specialist to be the one to service and maintain you vehicle for a great drive. Founded in 1990 Berkeley Motor Works is the place you go when you need a location you trust for BMW maintenance. This team of experts has been certified by BMW to the specialist level to know what your vehicle needs. When you’re driving an expensive luxury car from this brand you may need a BMW repair job done at some time. Take the ride from Richmond and see this team in Albany, CA and let them help you get back on the road the way you want to with a luxury car that’s ready for you to drive and enjoy. 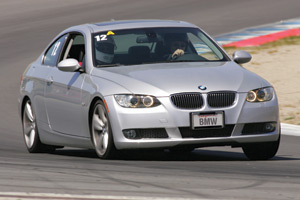 The BMW specialist that works on your car at Berkeley Motor Works in Albany, CA is someone you can trust. Not only does the team at this location have the expertise to be the place you turn to for BMW repair in the Richmond area, but they are friendly and competent in order to make sure you can get back on the road right away. If you’re looking for the best place for the regular BMW maintenance you need on the car you love to drive, you need to see this team and let them help you enjoy amazing driving.